PARIS – A divisive debate over Muslim full-body swimsuit, or burkini, has reignited in France after the mayor of Rennes city, Brittany in northwestern France, allowed women wearing the outfit in council pools. The decision was issued by Nathalie Appéré, the Socialist mayor of Rennes in Brittany, The Times reported on Thursday, October 11. The decision came to light after a 23-year-old woman with a five-month-old daughter asked for permission to swim in a burkini in Gayeulles pool in Rennes last week and was told that it was allowed. Other swimmers however expressed anger and contacted local politicians. The decision has also infuriated right-wingers who denounce the burkini as a threat to the French way of life. Despite right-wing opposition, Appéré was backed by Mustapha Laabid, the local MP, who belongs to the ruling La République en Marche party. 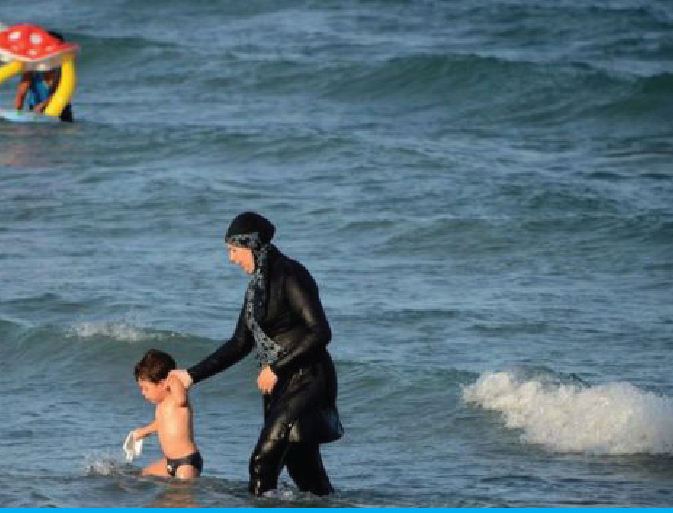 For Muslim women, the authorization of this outfit in Rennes allowed them to go swimming with their children and even enroll in a swimming course. “Go to the swimming pool, it is also a step forward towards the other,” a French Muslim woman said. France banned Muslim headscarves in schools in 2004 and face-covering niqabs in all public places in 2011. There is no national law against the burkini but in 2016, a series of towns banned the garment from beaches, in Cannes, Corsica, and Le Touquet, on the grounds that it was an ostentatious religious symbol at odds with French secularism. Anger has maximized after a series of photos showed four police officers armed with handguns, batons and pepper spray standing around the woman who was lying on the beach wearing a blue headscarf and matching the top.